​Update 29th September 2015. The Minister For Transport Pascal Donohoe today gave the go ahead for the Metro to be built from Swords to Dublin City via the Airport. 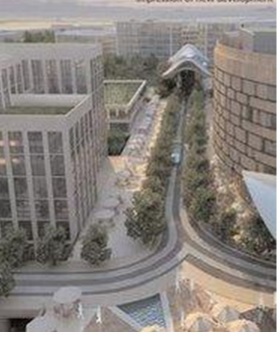 The track will be underground / overground. The completion date for the project is 2026. The lenght of the track will be 17km [10.56 miles ]. There'll be 30 trams an hour in each way. The tram carriages will be 60m long. Journey time from O'Connell st. to Airport will be 19 minutes. The plan is to carry 30 million passengers per year. The estimated cost is €2.4 billion. There will be 3,500 jobs during the construction. Trams will pass 3 universities , Trinity College, Dublin City University and St. Patrick's Training College in Drumcondra. 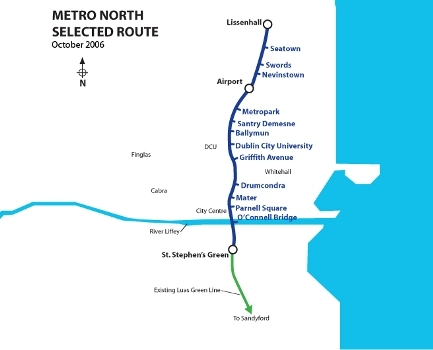 Metro North, when it comes will provide a high capacity and frequency Dublin transport for the people of Swords and along it's path to Dublin City Centre. It will carry 20,000 people per hour in both directions. The journey time from Swords to Saint Stephens Green which is on the south side of the city will take approx. 22 minutes with service at every 4 minutes at peak times. Economist and adviser to The Irish Government Colm McCarthy says that the Metro North rail line to Dublin Airport should not proceed as planned. Mr. McCarthy said there is more that enough public transport to the Airport already. He went on to say that during the present economic situation such funds would be better spent on schools and hospitals, adding that Dublin Bus and the private bus operators along with the Dublin Port Tunnel provide easy access already to Dublin Airport. Colm McCarthy also mentioned that since the completed M50 motorway it's now much easier for commuters from any part of Ireland to get to Dublin Airport. Mr. McCarthy is not alone in his views of Metro North, many other commentators and economists share his points of view. With the current downturn in the economy and cutbacks in government spending it's uncertain if this project will go ahead, the indications at the moment are that Metro North will proceed. With a full recession on in Ireland and cutbacks within every government department a decision could be announced at any day to suspend Metro North, we will just have to wait and see. Although the government has given the go ahead for Metro North it still hasn't agreed a starting time for the project because of lack of money. The current cost of the project is over three billion euro. As local councillors queue up to welcome An Board Pleanala's decision The Irish Mail On Sunday has reported the project will be scrapped in the December Budget because of the cost. 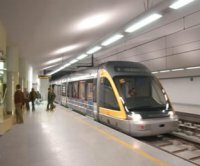 Labour Party TD for Dublin North Brendan Ryan has responded to increased attention being paid to the proposed dart spur linking Dublin Airport to the dart line at Clongriffin. This proposal is being viewed by some as a low cost alternative to Metro North. Deputy Ryan said: "The proposal by Iarnród Eireann to extend the Dart line to the airport is NOT an alternative to Metro North. To me, it is nonsense to suggest that such a link could adequately fill the transport deficit on the M1 corridor. I agree that we need a rail link between the airport and Dublin city centre however the point must be made that there is a far greater deficit in the transport infrastructure of North Dublin than merely no rail link to the airport. The population of Swords is over 45,000 people and is currently without a rail link to the city centre. Ballymun, Dublin City University (with a student population over 11,000) and the future National Children’s Hospital will all be serviced by Metro North. "I must also add, that the reason this proposed rail link is in the news this week is because Iarnród Eireann have finally got back to the Minister for Transport outlining its proposals. I met with Iarnród Eireann a couple of weeks ago who outlined to me their plan for the dart spur and indicated they were requested by the Minister to "dust off" a near 20 year old plan. I made my case clearly to Iarnród Eireann that I am in no way supportive of its proposal to link the airport and Clongriffin.